Where do I even begin with this? Before I downloaded this audiobook, I believed I was a person who: 1) did not enjoy sappy love stories and 2) would not enjoy audiobooks. Let's tackle these two separately. Sappy love stories are not my "thing"
Before starting this book, I kept telling myself that I probably wouldn't end of finishing it and would likely skip to watch the movie instead. Um... yeah, I was wrong. 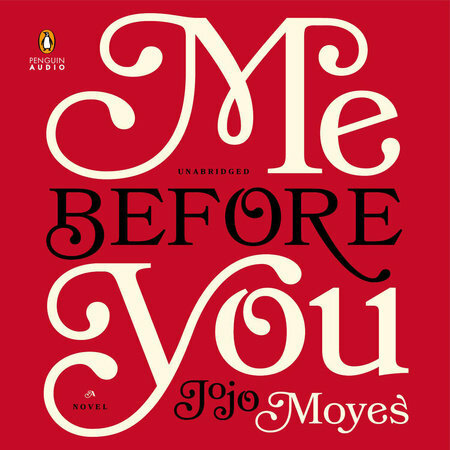 Jojo Moyes created characters that seemed so real. Lou's personality, compassion and determination leapt off the pages. She was an extremely loveable character who was quirky and intelligent. Her contrast to Will brings so much depth to the story that you can't help but want to see their relationship evolve and cheer them on, right down to the last chapter. I also enjoyed the writing. There could have been many moments in the book that could have dragged on and on, but they didn't and I'm glad. The book was concise and straight to the point (kind of like Will) and yet, still had a few moments that would make you chuckle. Back in August (yes, I've been absent from the blogging world yet again...), I posted about Awe-Inspiring Audiobooks. 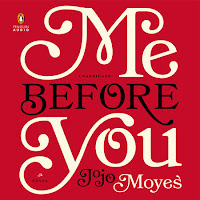 Me Before You was the first, and definitely not the last, audiobook that I have ever tried. In not so many words, I'm hooked. Having the ability to listen to books on my commute home on the train and in the car have been one of the only things keeping me sane over the past few weeks. For those who say they don't have the time to read I definitely recommend giving an audiobook a try, it may just change your mind. Safe to say, I adored Me Before You and the format that it was delivered. For audiobooks, the actors play as much of a role as the story itself. Me Before You was narrated by a very talented group of people who kept me engaged throughout. The book... oh this book... it will make you laugh, it will force you to question humanity and it may even make you cry. But, in the end, it's all worth it. I loved it and I truly recommend that you give it a go in whatever format you see fit.